Has something weird ever happened to you where you made a completely different ways in snap and it saves you from harm? You are driving your regular route home but inexplicably a thought crosses your mind to alter your route. Only later do you learn that you avoided a major accident by diverting your drive. What made you change course? Some will say it was instinct. But how can that be? There were no signs, or signals indicating that up ahead there was an accident. The answer is pure and simple…it was your Spirit Guide. You may ask, with all of the technologies available to us today, why would anyone put their faith in Spirit Guides? The answer is clear. Getting in touch with your Spirit Guide is a way for you to reconnect with yourself. It is a way to achieve a type of spiritual and emotional healing. We all share a sincere desire to live a happy life and we want to find our true path. For many, the ultimate goal is to come into complete harmony with the universe. Your Spirit Guide is there to help you achieve this goal. We all seek emotional support and personal involvement in our journey through life. Spirit Guides are here to protect, guide and assist us along the way. Your Spirit Guide will give you that inner-warning to suddenly change your path to avoid calamity. If you put your faith in your Spirit Guide he or she can lead you and show you the divine reason why something has happened or why it did not. Speaking with a seasoned psychic, I learned how you can get in touch with your Spirit Guide. Dress in loose, comfortable clothing, keeping your hands, feet and head bare so that the energy may flow through your Chakras. Place a chair in the center of any quiet room. Light four white tower-type candles and place them in a square around the chair. Sit in the chair, with your bare feet flat on the floor and your hands situated palms up in order to let the energy freely flow. Say these words, ‘I am calling upon my Spirit Guide. Pierce the veil that is between us. Give me a sign.’ It may take some time for you to achieve a receptive state. Repeat the words now and then as you await a sign from your Spirit Guide. Your Spirit Guide has always been with you, knows you well and has been waiting for you to recognize him. Not quite ready to meet your Spirit Guide? There are other ways to open your mind. It is your responsibility to find the simple truth about what works for you and it is up to you to make the right choices to enhance your life. It is the job of the psychic, or the life coach, to help you along the way. Many psychics use crystals to open energy centers to relieve anxiety and stress and to help you break destructive patterns or bring good fortune through their positive energy. Recruit your mind power and open up through meditation. 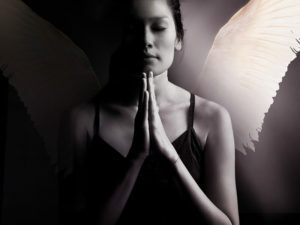 Certain cultures use different techniques to induce a meditative state to open the mind such as fasting, chanting, dancing or drumming. Repetitive sounds, such as chanting, produce theta patterns in the brain. Theta patterns are the key to creative thought, dreams or imagery. You may want to incorporate one of these techniques into your meditation routine to achieve a more satisfying outcome. The ancient art of mind-body healing continues in cultures around the world today. In America, we are just beginning to take a second look at the power of meditation and the Spirit world, and we are starting to notice their positive effects. Why not learn if it offers the help that you have been searching for? If you have not yet met your Spirit Guide, let a professional psychic introduce you. Your journey may prove to be awesome. Once you have found your Spirit Guide, the Spirit will stay with you for the rest of your life.